Disgraced former State Senate Majority Leader Dean Skelos has been sentenced to 51 months in prison for using his official position to obtain more than $300,000 in bribes and extortion payments that were paid to his son, Adam, in exchange for Dean’s official acts, federal prosecutors recently announced. Adam Skelos, 36, who was convicted in July by the same jury, was also sentenced to four years in prison. According to the evidence introduced at trial, court filings, and statements made in court, from 2011 to 2015, Dean Skelos, 70, served as majority leader and co-majority leader of the State Senate, a position that gave him significant power over the operation of State government. Dean repeatedly used this power to pressure companies with business before the State to make payments to Adam, who substantially depended on these companies for his income. The Skeloses were able to secure these illegal payments through implicit and explicit representations that Dean would use his official position to benefit those who made the payments, and punish those who did not. 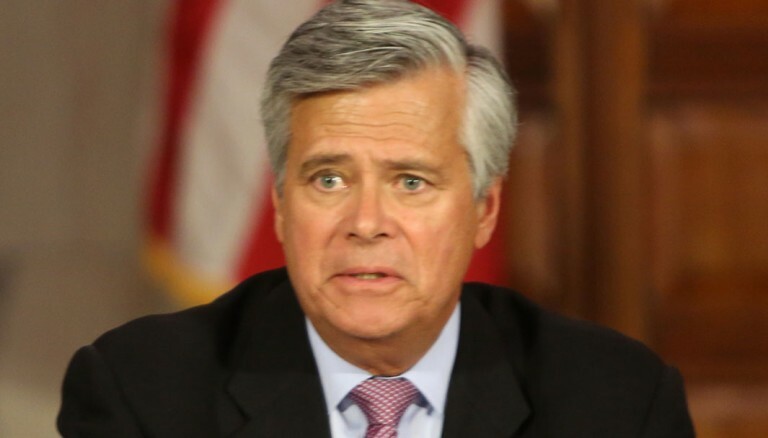 In total, Dean obtained more than$300,000 in payments to Adam through persistent and repeated pressure applied to senior executives of three different companies that needed legislation passed in the State Senate and other official actions from Dean Skelos. Father and son were also charged with bribery and honest services fraud schemes. Among other things, Dean Skelos illegally obtained a $20,000 payment for his son from a large real estate developer dependent on the GOP senator for tax breaks and a $10,000 monthly payment from an environmental technology company seeking government-funded contracts in New York. In imposing Dean Skelos’s sentence, the judge found that he had lied during his testimony at trial, and cited several examples of his dishonesties as he increased Dean’s sentence by three months to account for the false testimony. “The sentences imposed today are but a small down-payment to correct the damage they did to our citizens’ faith in state government. At the same time, these same citizens can have faith that those who abuse the public trust for their personal benefit will be caught and sentenced to substantial prison terms,” Deputy U.S. Attorney Robert Khuzami said.